It's always awkward to jump into the middle of a plot-heavy series for a holiday installment. Supernatural is a long-running genre show with a pretty passionate fan base. This is the first time we've seen an episode. This one's from the third season, and it's packaged as a full special, despite really only being an episode. The producers arranged to start with the old CBS "A Special Presentation" title card as an homage to holiday fare from the 80's. And, naturally, they end with snow falling. There are a few story lines playing out simultaneously. A monster-of-the-week mystery forms the backbone, while a series of flashbacks to a Christmas Eve when Sam learned the truth about their family's legacy provides some heart. If you're reading Mainlining Christmas, you likely knew who Krampus was even before he played a major role in a pair of surprisingly greathorror movies last year. I'd love to see decent collectibles from one or both of those movies, but no one's stepped up to produce action figures to date. So I decided to try making my own. 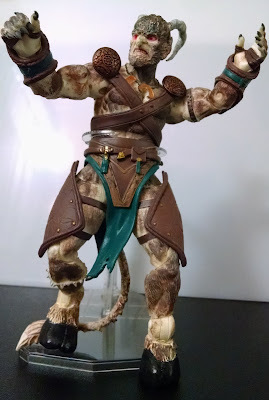 This is a Funko Magic: The Gathering Ajani Goldmane action figure. I picked this up about a year ago when it was on clearance (I want to say I spent six or seven bucks on him, but I really don't remember). I loved the sculpt on the body, but I thought the head was awful. Still, I bought him on a whim, in the off chance I'd think of something to do with him. I'm glad I did - there aren't a lot of action figures out there with triple-jointed legs. This is a special, double-length episode of a show I knew existed (as I often have a vague sense of programming affiliated with PBS) but had never seen. I had the impression it was educational. I’m not sure about that, but it is boring. It starts off relatively inoffensive, if bland. 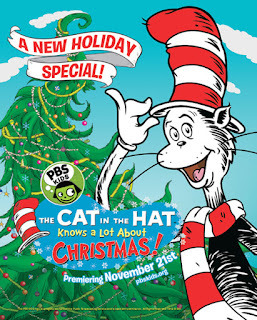 Nick and Sally are two kids who are friends with the Cat in the Hat, and they arrive at his Christmas party and are promptly put to work as waiters while he sings about how awesome his party is. They think this is awesome. Kids at home: when doing favors for your “friend” is the super-fun part of your relationship, maybe rethink the friendship. The number of action movies set at Christmas is staggering. You can add Ronin to the list, though this one is really only a technicality - the holiday elements are faint to the point of being nearly nonexistent. But, for whatever reason, it's established that it's set during Christmas, so we're reviewing it in the interest of being complete. 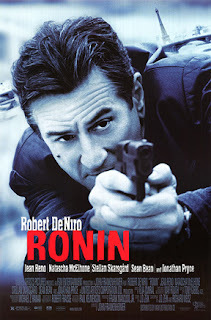 Ronin might be one of the 90's better action flicks, though that's really not saying much. It's a tense, realistic spy thriller that masquerades as a heist movie. We never get more than a first name for most of the movie's characters, nor do we really get a good sense of their motivations. It's a movie about secrets, so don't expect a great deal of emotional depth. 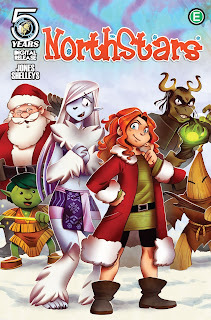 Premise: Santa’s daughter and the princess of the yetis go on an afternoon adventure to save Christmas. This sweet comic book from Action Lab Comics is a digital-first release this year, planned to be a gift-ready hardcover next year. The story isn’t anything more than it appears to be, but it’s a cute, well-done tale. The art is clean and bright and the writing is clever. Some of the little details and tweaks on holiday lore were things I’d never seen before and quite liked. Holly Claus meets Frostina under parental pressure, but they hit it off immediately. During a quick tour of Santa’s workshop, they run into a goblin who reports (in crayon-drawing speech bubbles representing a language barrier) that Krampus is interfering with the goblins who prepare the Christmas coal. One of Christmas's most hallowed traditions is the post-holiday culling of the clearance aisle, when countless toys' and decorations' prices are slashed to absurdly low levels, and bottom-feeders like us swoop in to gather samples of the year's yuletide nature. This is certainly not the first time Rudolph figures from Forever Fun have wound up on our list. Way back in 2011, I reviewed their massive display, Santa's Musical Sleigh. And, prior to the creation of Mainlining Christmas, I picked up and reviewed Reindeer Games Rudolph (which is probably the best Rudolph action figure I've come across) at The Clearance Bin. I'm still a little unclear what "Forever Fun" is. They have very little online presence - it looks like they're a subsidiary of something called "Round 2 LLC," but I'm not seeing a lot of info about them, either. I guess they're a model kit company in Indiana which tosses out Christmas toys every December. Even going by our standards, Meet John Doe qualifies as a Christmas movie on something of a technicality. Only the last few minutes actually occur around the holidays, and even then they're almost incidental. However, the movie goes out of its way to tie the season into its premise in order to build something of a heavy-handed metaphor. I'll cut to the chase: Meet John Doe is a Christmas movie because "John Doe" is Jesus. Well, sort of. It's slightly more complicated than that, but not as much as I'd have liked. 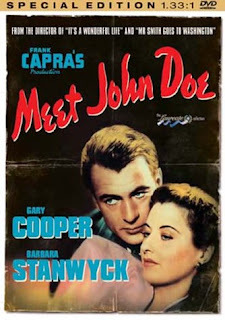 The movie has a relatively strong opening, centering on Barbara Stanwyck's character, Ann. She plays a newspaper columnist who's just been laid off. As her final act, she writes a fake editorial letter written by an average Joe, who's fed up with the way "the little guy" is treated in society. The letter concludes with "Joe" vowing to jump off of City Hall on Christmas Eve. 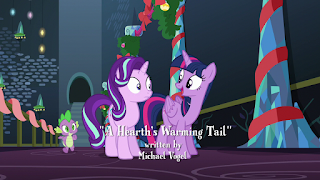 A new season of Friendship is Magic brings a third Christmas Hearth’s Warming episode! I can finally take back some of my criticism of the first one: there is tons of music in this, and it’s thoroughly enjoyable. I demand more pony holiday music! 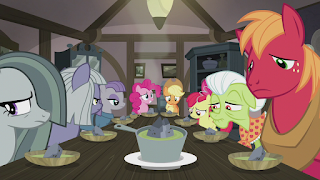 In this season (season six), much of the plot is about the newest member of the main cast: Starlight Glimmer. As this show has proved several times, there’s plenty of drama in a former villain trying to turn over a new leaf. In this particular episode, Twilight and friends are excited for Hearth’s Warming Eve, but Starlight is more blase, complaining about… well, not the “commercialism,” but yeah, the commercialism. She says that the holiday is just for presents and candy, and the legend of the founding of Equestria (detailed in the first holiday episode) is just a story for kids. Arnold Schwarzenegger has starred in dozens of movies, he's been the governor of California, and he is one of the most iconic actors who has ever lived. 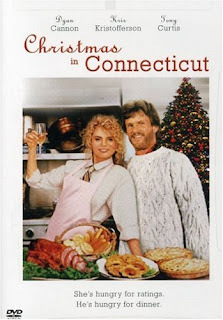 But, in his entire career, he's only directed one movie: the 1992 made-for-TV remake of Christmas in Connecticut. And how is this film? Well, it feels like it's a made-for-TV movie directed by Arnold Schwarzenegger. The story was updated to make Elizabeth a TV cook instead of a writer, and the titular Christmas in Connecticut a live televised event orchestrated by her manager. The other lead, played by Kris Kristofferson, is Jefferson, a Colorado Forrest Ranger whose log cabin burned down while he was rescuing a kid lost in a blizzard. Whoo! Another holiday episode! (The first one was Hearth’s Warming Eve.) This is one of the first times (if not the first) we’ve seen a repeat of an ‘analogue’ holiday. 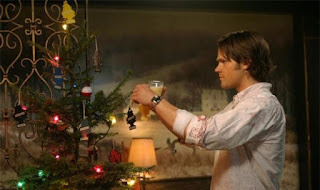 Lots of shows set on Earth have a Christmas episode every year, but fantasy shows that make up their own stand-in holidays tend to just have one-off episodes. It also deals with an issue that is completely appropriate for a kid’s show, but I don’t see all that often. It’s about how different families celebrate the same holiday. Not how some families celebrate holiday A and some celebrate holiday B - that’s all over children’s television. Rather this episode explores how even when we celebrate the “same thing,” our traditions can be completely different. 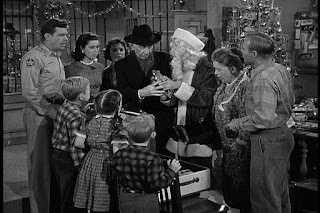 Assuming Wikipedia isn't lying to me, this is the only Christmas episode of The Andy Griffith Show, a 1960's sitcom about a sheriff in a small American town. I honestly don't know whether this is the first time I've seen an episode of this show - I can't recall ever having watched it, but it feels oddly familiar. That could easily be due to decades of parody and homage, however. This one starts with Andy and his deputy, Barney (Don Knotts), opening Christmas cards and getting ready for Andy's aunt's Christmas party. Barney points out he won't be able to attend, since one of them will need to stay behind and watch the prisoners. Andy, however, reasons the sheriff's station is really like a school, so the prisoners should get out for Christmas. He sets them free, and they run off. Surprisingly, the episode is not about the consequences of releasing all the prisoners. 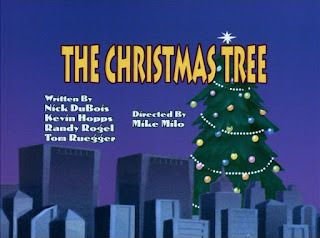 "The Christmas Tree" opened the third-to-last episode of the series. They tacked on the holiday opening, featuring snow over the credits, too, before starting the story. It doesn't run the full thirty minutes, but it takes up about 2/3rds of the half hour slot. The other shorts included a Katie KaBoom bit about her negotiating the rules for going to the prom and a Deadline short built around Chicken Boo. The Deadline bit was fun, if a bit repetitive, but I've never really been a fan of the Katie KaBoom shorts. But neither of these are Christmas themed, so I've got nothing more to say about them. I love running across unexpected Christmas! 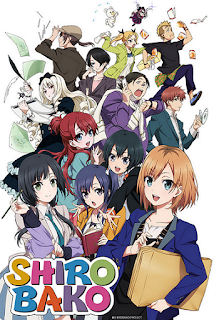 Shirobako is a series following a group of young women who are trying to start careers in the anime industry. The main character is Miyamori Aoi, who works as a production assistant at Musashino Animation. The series has a slow start and a huge cast of characters, but I like how well it portrays the tension between wanting to work in an artistic field and the reality of trying to make that happen. It’s also really fun to see how many people it takes to make an anime series. “The Little Key Frames Girl” is the eleventh episode of the series. Over the first twelve episodes, the company Aoi works for produces an anime called Exodus, and at this point she’s in charge of making sure the final episode is completed on time. She needs animators to work on the most difficult key frames for the final climax, but everyone she calls is busy, and she’s running out of contacts. 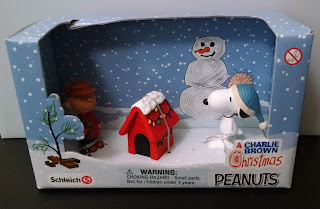 Schleich is probably best known as the main company that makes Smurf figurines, but they've also got a handful of other licenses, including Peanuts. I'm extremely torn on what to think of the company: on one hand, they produce high quality figures, but their prices feel somewhat extravagant in today's market. This is as good an example as any. 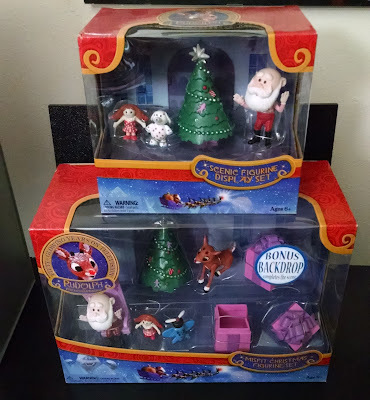 This set of three figures (or two figures and a doghouse accessory, depending on how you want to look at it) started out at $20. Given that these are about two inches tall, $6.50+ feels a little excessive for a figure that small. 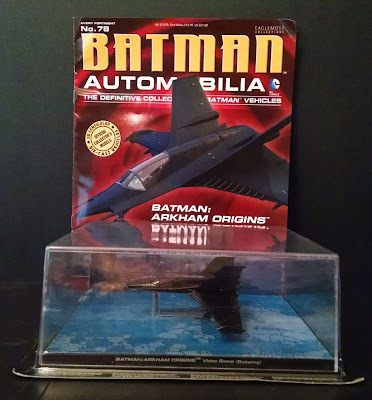 Hell, I picked up similar toys in minimalist packaging a few years ago for just $3 each. Of course, those weren't made by Schleich. The main thing you're paying for here is the brand name and quality it implies. And, for what it's worth, these are pretty high-quality figures. The packaging assures us they're appropriate for kids over 3, which implies a level of faith in their construction.